Here we made some hand painted stained-glass pigs and inserted them into a bespoke door we made in our Southampton workshops. Every attention to detail. 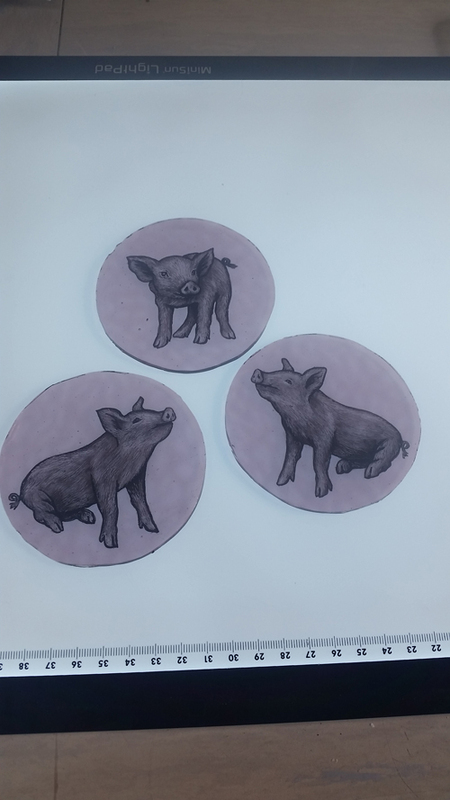 Our Customer requested Pigs in his door, and pigs he got! 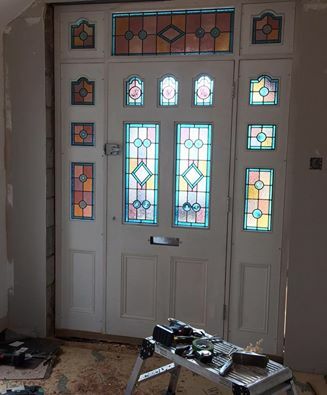 We think the door looks truly stunning! Here it is being installed.